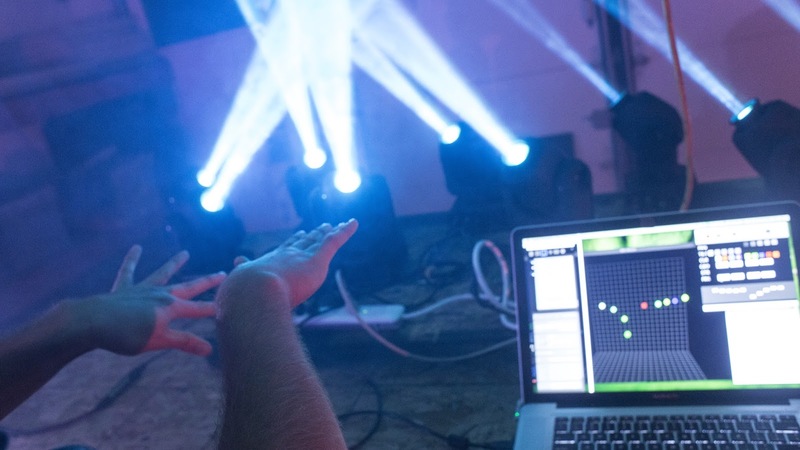 Ever wished you could control stage lights with your hands? With a combination of creative software and hardware applications, we've made this a possibility! The process starts with using a Leap Motion sensor to determine the location of each one of your fingers then use those as inputs. The inputs are sent off to Quartz Composer where we programmed a custom app to change the black/white balance in boxes corresponding to each finger. Then, that image is sent off to MadMapper where the boxes are mapped to ArtNet DMX outputs to the movers corresponding to pan and tilt. For our project, we decided to make one hand control pan and the other control tilt. Of course, each finger also controls a different moving head light! 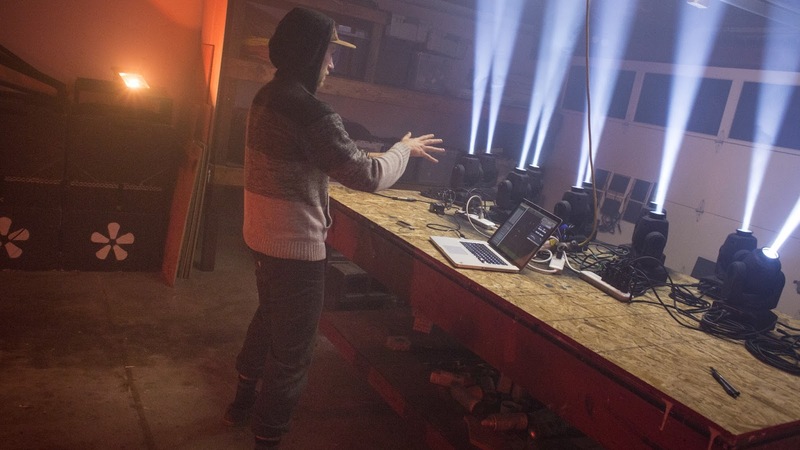 Once the final system is in place, the learning curve for controlling moving head lights using DMX is gone and anyone can step up to the plate and control the lights! You're going to want to use a MIDI controller or mouse to control certain functions such as color, strobe and gobo or there are still plenty more options using the Leap Motion device yet to be discovered! 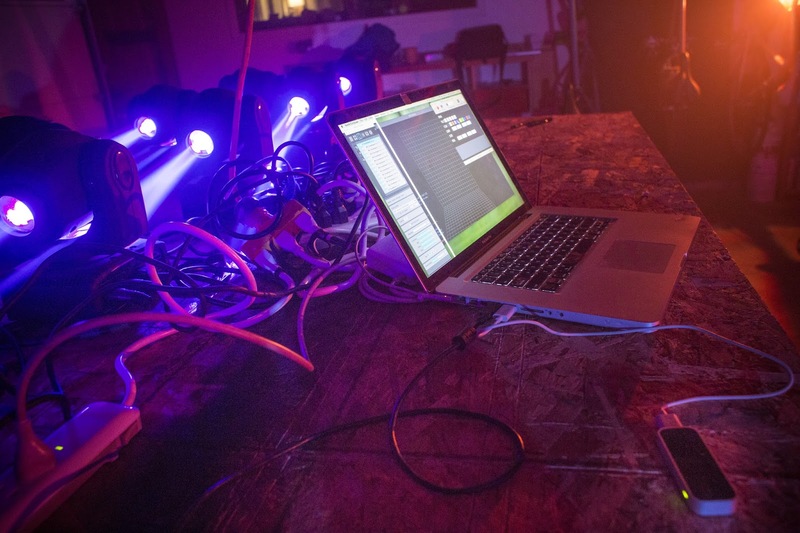 Check out this system in use at the Summer Meltdown Festival in Darrington, WA here!